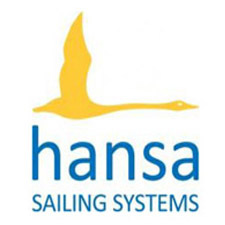 The 2016 UK Hansa Class Championships were held at Carsington from September 9th – 11th. Competitors arrived early, eager to unload their boats ready for the start of the three day Championship event. Carsington Sailability’s Secretary Mike Stoker extending a warm welcome to everyone, thanking them for attending and supporting the National Championship Event. With freshening winds, after a briefing from the Race Team, the event got underway with two back to back races to complete the afternoon’s program. 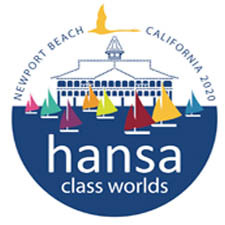 Competitors had three fleet starts, Liberty class, Hansa 303 and Hansa 2.3 competing around two courses incorporating trapezoidal and sausage shapes. Competition proved very close with a number of closely fought battles in both races particularly within the Liberty fleet. Saturday brought cloudy conditions, heavy rain showers and light winds, but this did not deter anyone from getting boats prepared for the day’s battles. Four races were on the schedule two in the morning and two in the afternoon raced back to back. After a short brief from the RO, boats were launched and made off for the start. During the morning session the rain cleared but the wind grew lighter, so much so that the afternoon races had to be cancelled after abandoning the first start and searching for favourable conditions before heading back to shore. The Championship Dinner that evening was well attended giving everyone a chance to relax and catch up. The final day began with misty conditions after the wet weather the day before but this was soon dispersed well before the race schedule was to start. Sailing Instructions amended to incorporate three back to back races and briefing completed, competitors headed for the jetties and the start line. The morning races were completed in fair winds and dry conditions providing ample chance to improve overall results. After a good lunch, the afternoon was spent packing boats away ready for the Prize Giving and the journey home. Championship cups were awarded for first place in each fleet with glass trophies for second and third places. Prizes were presented by Malcolm Torry BEM a founder member of Carsington Sailability. Vote of thanks was given to Carsington Sailing Club for hosting the event. Special thanks to Race Officer Ella Stoggal, ably assisted by Henry Wright, Keith and Liz Appleby and to Carsington Members who volunteered to help run the event making it such a memorable occasion. Full results from the UK series are available on their website.